Why am I stoked on Named Versions in Google Docs? Ever wonder why a feature shows up? I know we often look at the changes made in technology and, many times, scratch our heads thinking, why. I tell my kids that it is one thing to say something doesn't make sense and it is another to understand how it can makes sense. 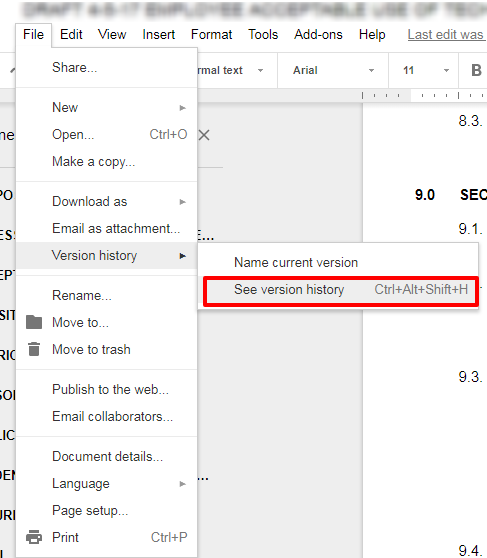 Enter named versions in the version history of Google Docs. I thought it would be nice to have a rough draft and a final draft (or if you write like I do, rough draft 1 through 47 and never a final draft), but that was the end of it. Then I started my current project, updating policies and regulations in our school district. This is not a task that I love to do or even one that I have the knowledge to tackle alone. So to get some help from friends, I turned the dusty PDF's into google docs and formatted them accordingly. Lately, I have been obsessed with using the headings to make a table of contents, or even an outline. That way, I can add names to the sections and they pop up at the top of the document for disseminating work (pro-tip). Ramble ramble ramble, what the heck does this have to do with named versions? So I named the version after I was done formatting the document. Why? Because I was trying to avoid doing the work. Did I mention that this is not the most exciting thing about my job? I just recognize the importance. After I went through and modified the document for the sections that I feel I am responsible, I went back and named the version of the document. Once there I named the new version (just double-click the time and type) and decided to click the button that I never click (in red below). Why? Because I wanted to...avoiding work. Actually, it is because I am haphazardly genius. 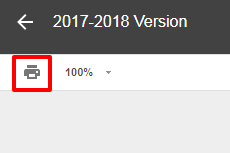 When clicked, not only does it make all of the non-named versions disappear, it shows the version with the collection of edits made between the named versions. Probably something that most know, but, whatever, an epiphany for me! To one up this, if you print from this view, it will print the edits made as a collective set of edits. Why do I like this? Because I like track changes (suggesting mode), but not while I am working. So, needless to say, I have more policies to edit today, but I felt it only necessary to share this with my reader(s). Procrastination...maybe. 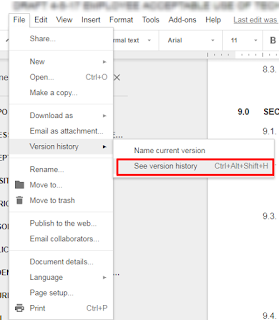 A great feature that can help with project management and updating shared documents...definitely. Stop procrastinating and get back to your work, if that isn't the pot calling the kettle black.